We have a huge amount of different ideas here at C L Promotions and our sister site, Calendar Lady Promotions to help you to keep your business details promoted at all times. Have a browse through our websites and choose which products appeal to you. Once you have chosen a particular product, we'll see that they get printed with your business details and company logo. Then all you have to do is give them away to your friends, customers and staff and everytime they use that product, it will be advertising your company details. Millions of pounds are spent on advertising every year in the U.K. and this is the simplest, cheapest and most effective way of promoting your business details in times of high competition. Amongst the many different departments here at C L Promotions are Keyrings, mugs, clothing, clocks, USB Flash drives, Easter eggs, Sweets, Calendars 2009, diaries, stationary, crystal glasses, Novelty gifts, Leather Shoe Bags, Umbrella's, Torches, Wind Up Eco Friendly Products and much much more. For more information about any of our Business gifts please fill in the contact form and we'll get straight back to you. 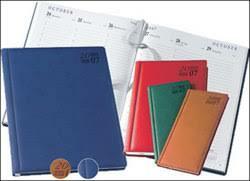 For a full list of all of our Promotional items please click here.